The book also examines the powerful interests that have supported fracking, including leading environmental groups, and offers a thorough debunking of its supposed economic benefits. With a wealth of new data, Frackopoly is essential and riveting reading for anyone interested in protecting the environment and ensuring a healthy and sustainable future for all Americans. Wenonah Hauter discusses her new book, Frackopoly, about the origins of fracking and its impact on the environment and public health. 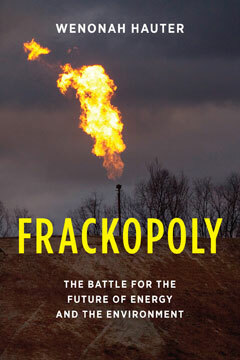 "Read Frackopoly," writes Evaggelos Vallianatos for the Huffington Post. "It's well written, timely, and very important."